Most volcano science projects consist solely of volcano models in which eruptions can be demonstrated. 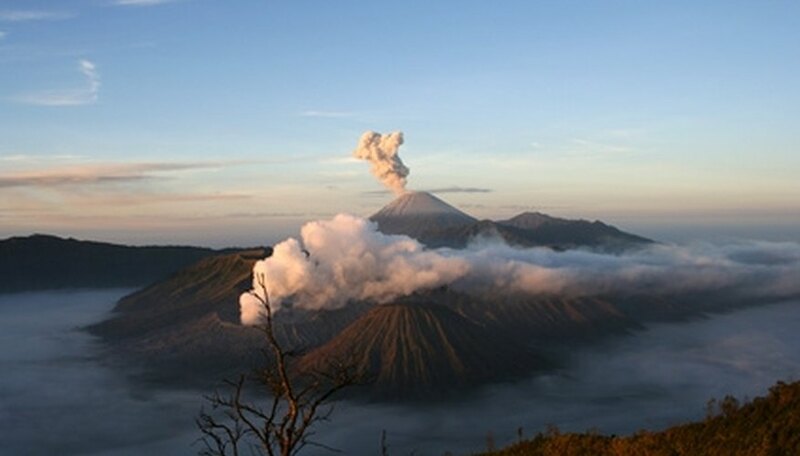 To make it a true experiment, students need to add a variable to the volcano science project. A variable is one element of the project that is changed in each trial while all the other elements remain constant. This allows students to see the effects of each change of the variable element. Choose one variable to study in your volcano science project. There are a number of options, but you should choose only one. Vary the ingredients used to make the volcano eruption. Baking soda and vinegar are typically used, but other acid and base combinations will work as well. Use lemon juice instead of vinegar, or try erupting the volcano with hydrogen peroxide and yeast. Change the amount of ingredients used. Try erupting the volcano with different amounts of baking soda or different amounts of vinegar. Use vinegar at different temperatures to erupt the volcano. Refrigerated, room temperature and warm vinegar can be used in different trials of the volcano science project. Define your terms of measurement. This should be a way to objectively determine how each trial of the experiment went. 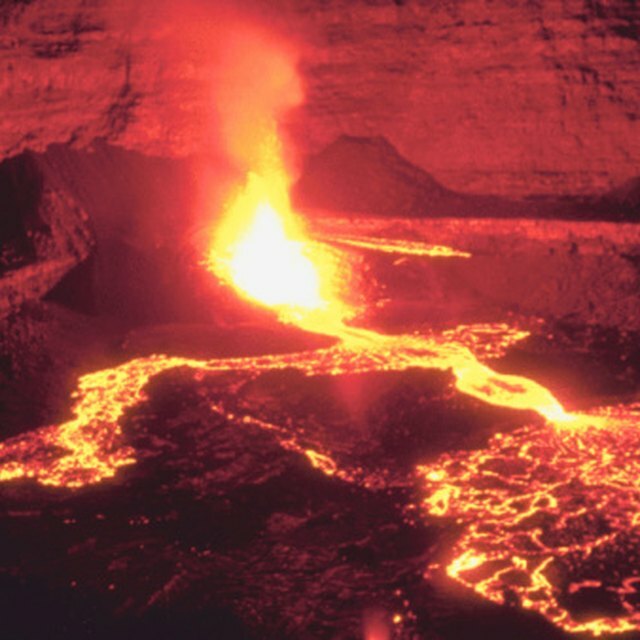 For example, you could time how many seconds the "lava" flowed out of the volcano after the last ingredient was added. Another term of measurement would be the distance the lava traveled in centimeters from the top of the volcano. Develop a hypothesis. A true experiment contains a hypothesis: an educated guess about what you think the results of the experiment will be. In this case, the hypothesis should state which of your different trials you believe will create the largest, fastest, slowest or farthest-traveling volcano explosion. Perform the experiment. For each trial, make sure all the conditions remain exactly the same, except for the variable you have chosen. Carefully write down what the variable was and what the results were for that trial. Examine your data to see if the hypothesis was correct. If not, explain why you think the results were not what you expected. Do not use random combinations of ingredients to try to erupt science project volcanoes. Even household ingredients such as ammonia and chlorine bleach can be hazardous when mixed together. May, Kristen. "How to Add a Variable to a Volcano Science Project." Sciencing, https://sciencing.com/add-variable-volcano-science-project-5705317.html. 24 April 2017.